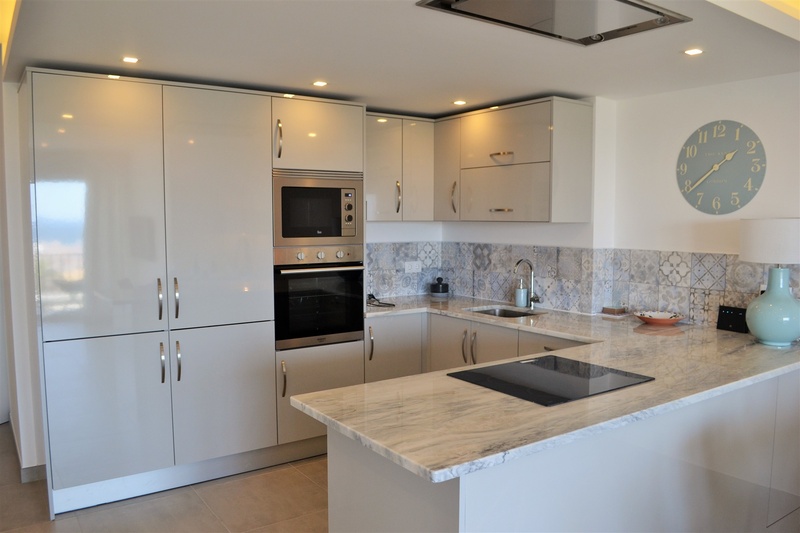 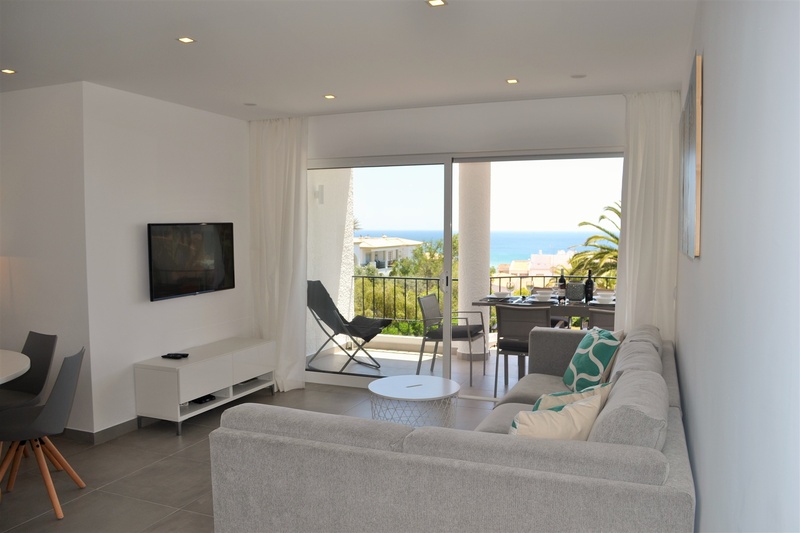 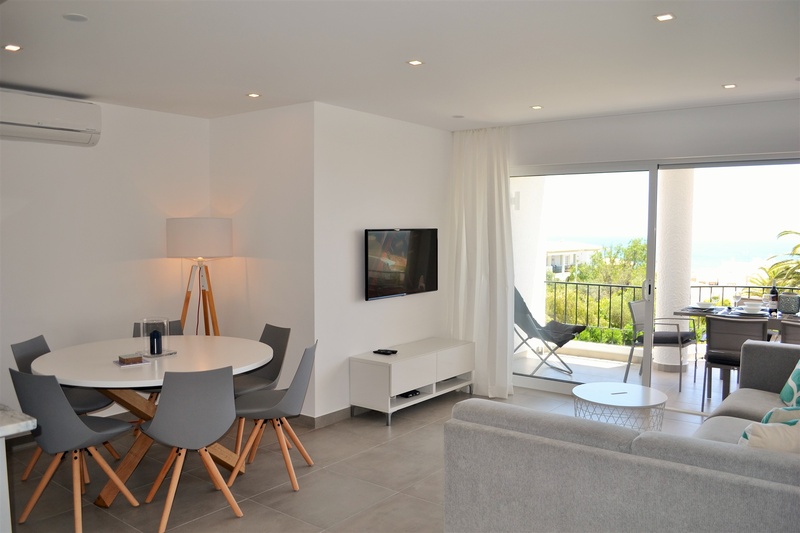 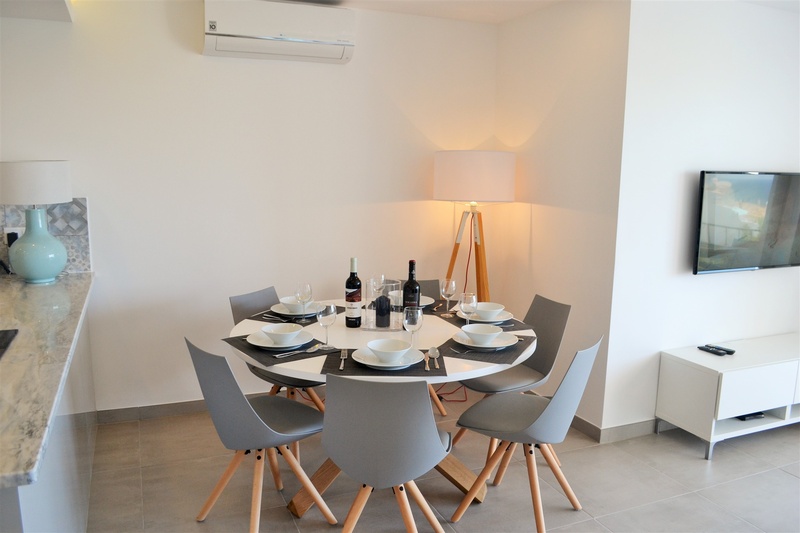 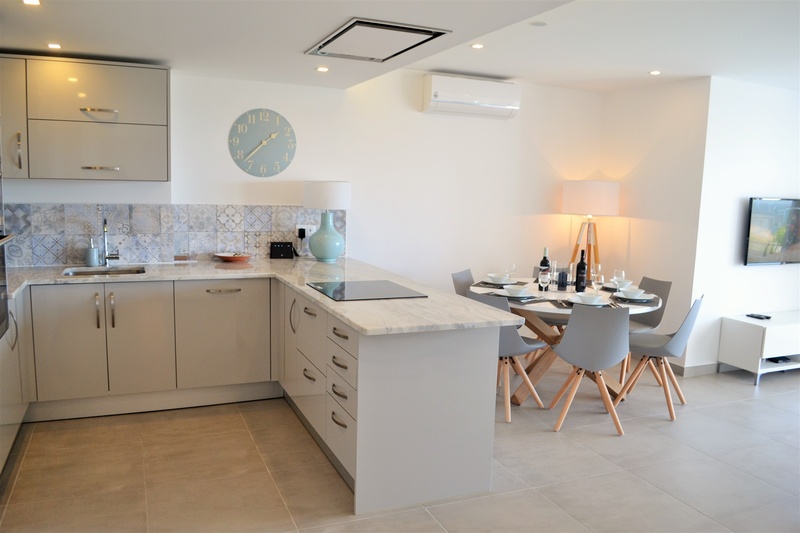 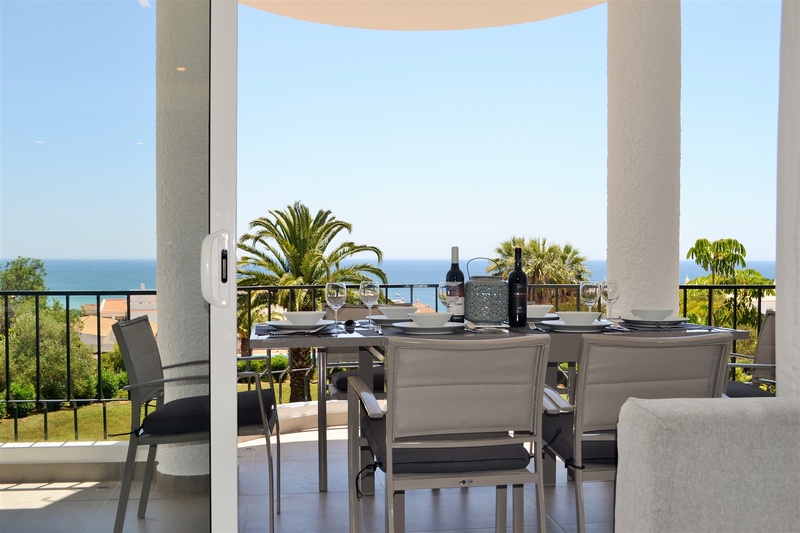 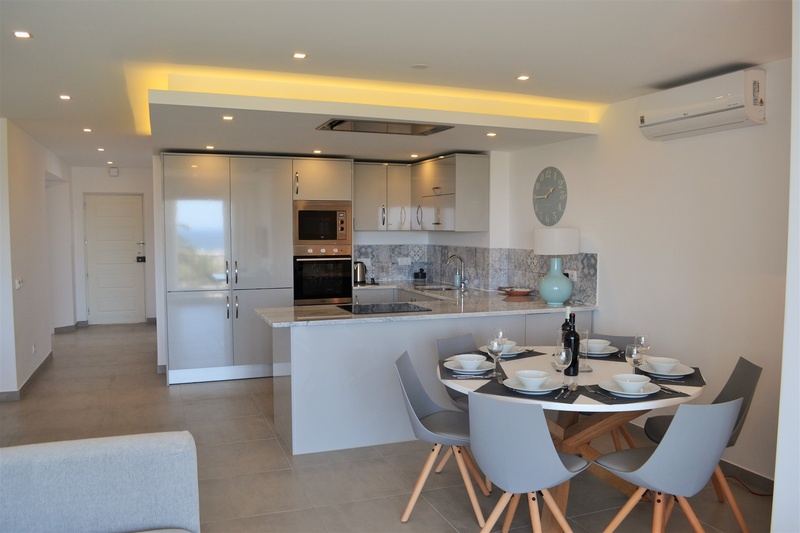 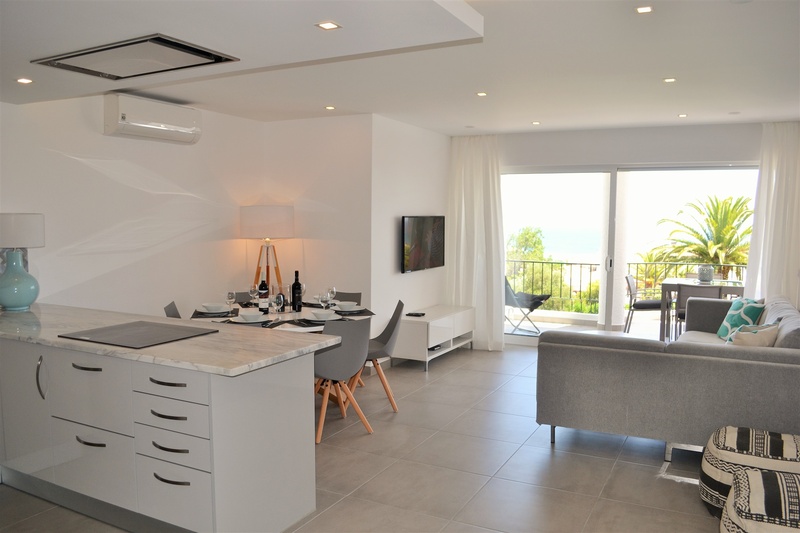 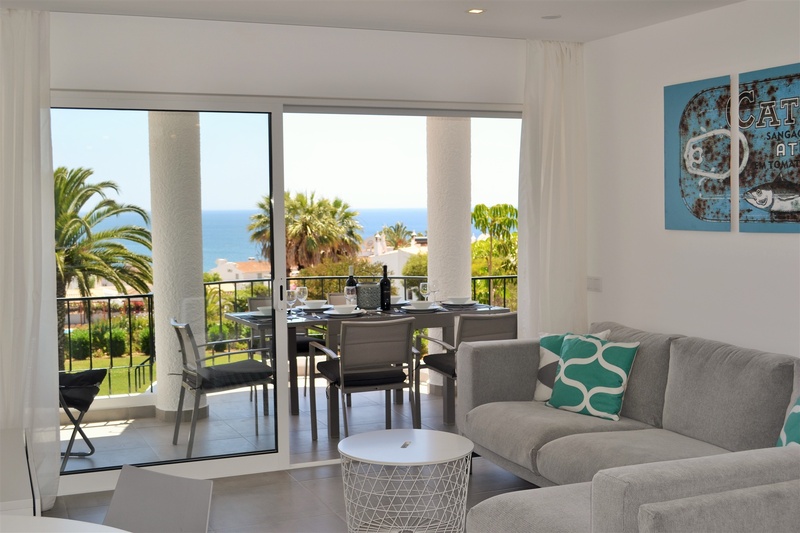 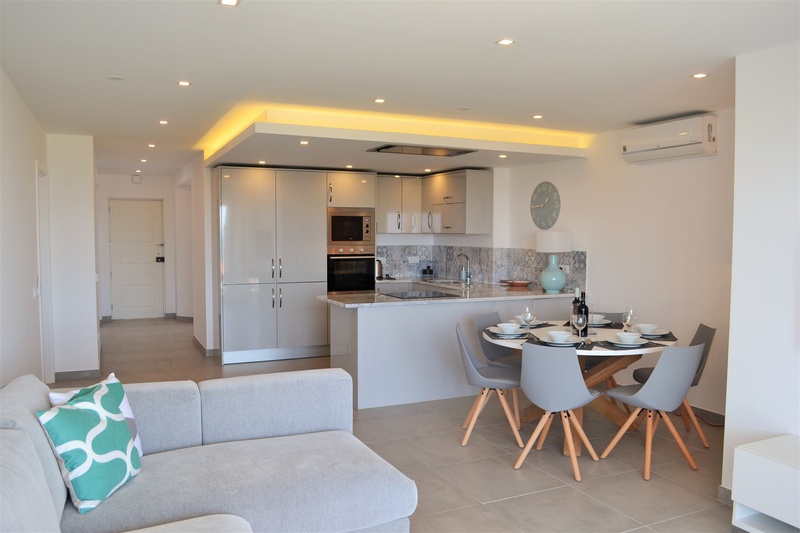 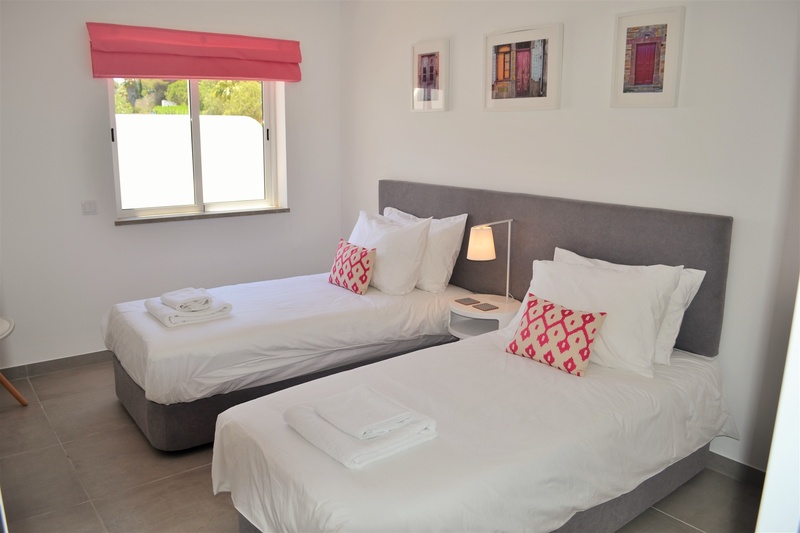 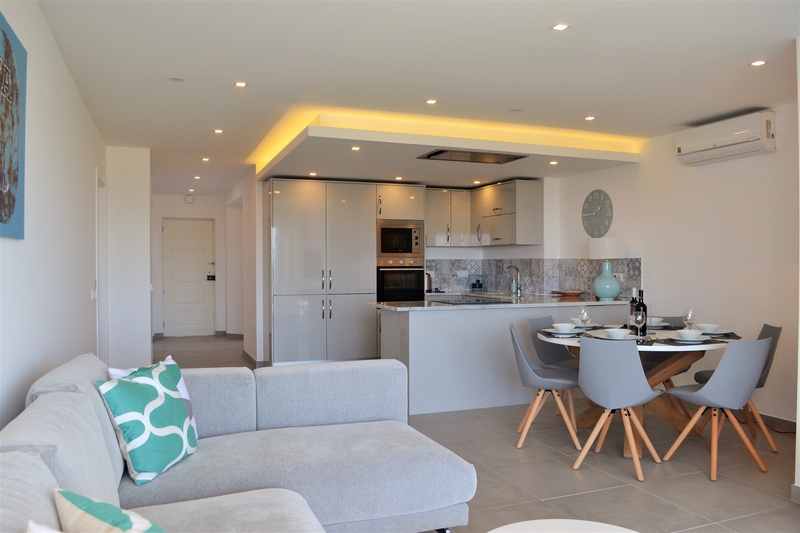 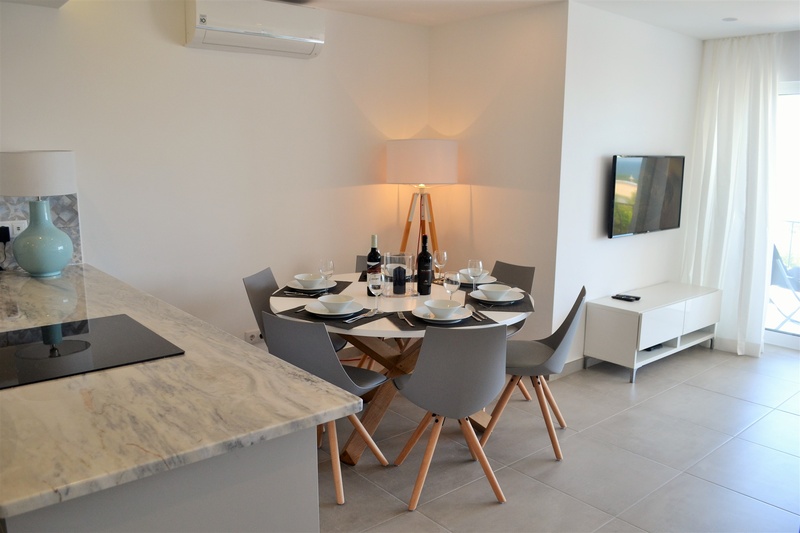 1K Waterside is an exceptionally refurbished fully air conditioned 3 bedroom, 3 bathroom apartment in the heart of Praia da Luz. 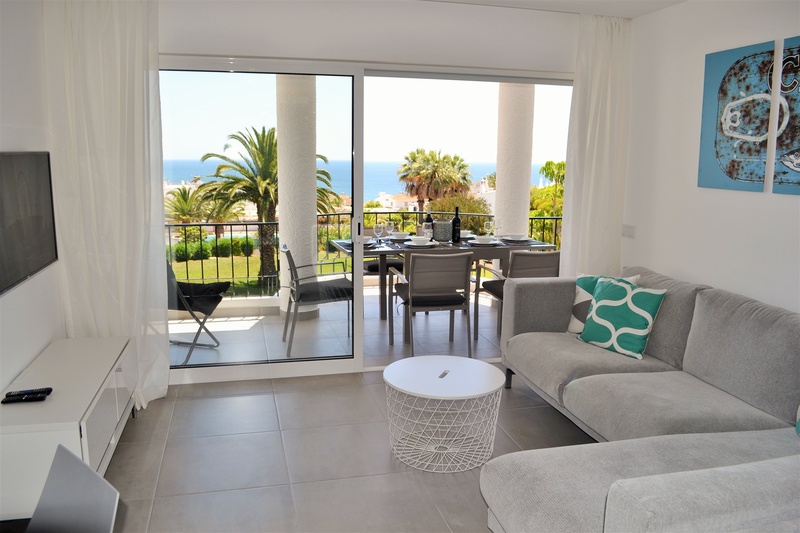 A short walk to the beach and all local amenities. 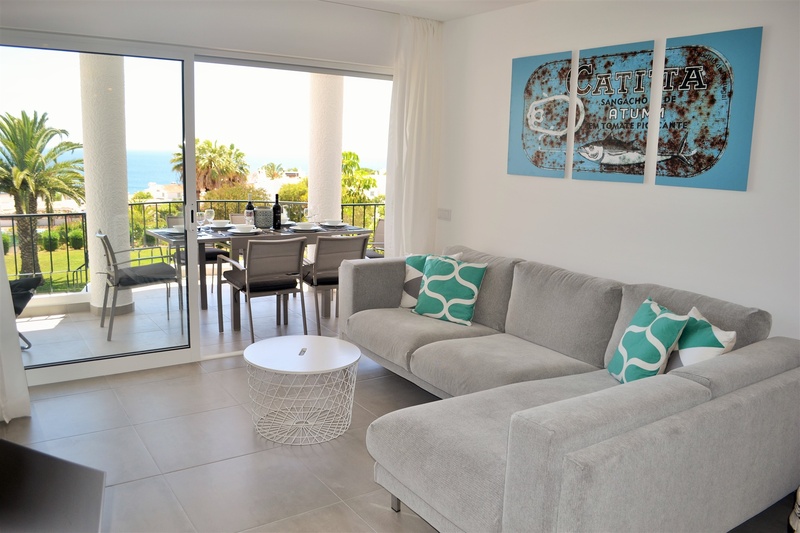 Free use of the Luz Bay Hotel swimming pools included. 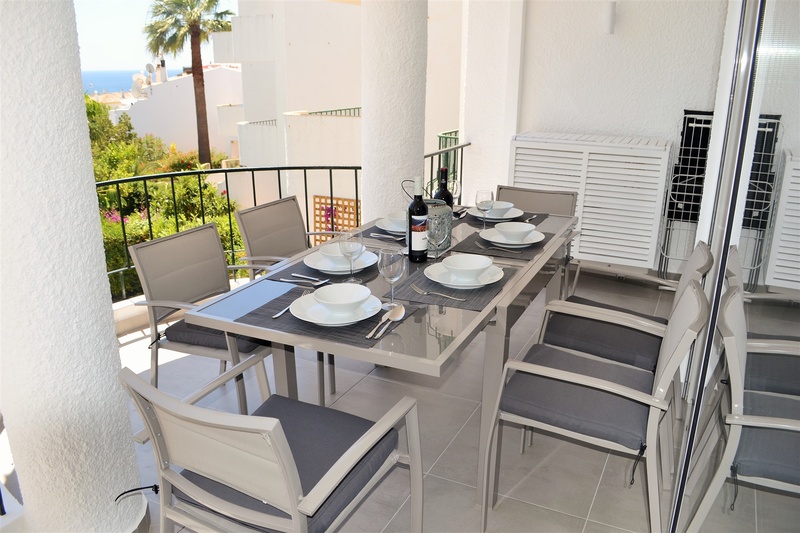 Large balcony with outside dining furniture and sea view. 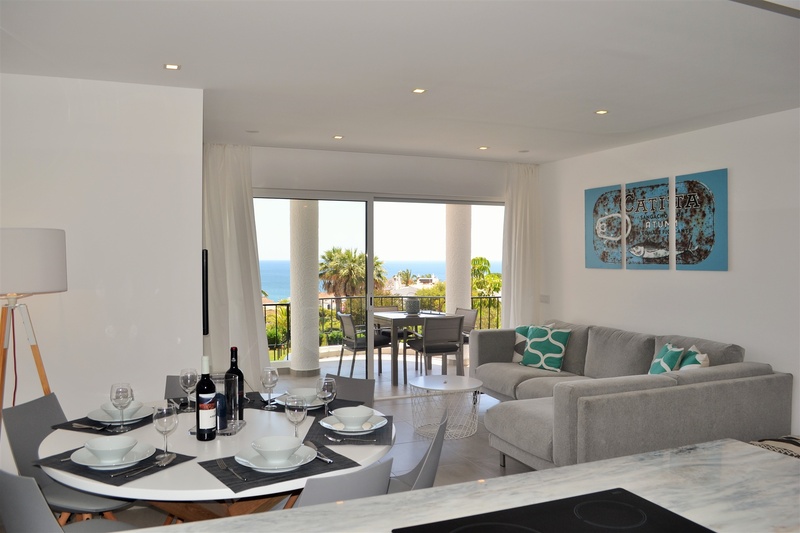 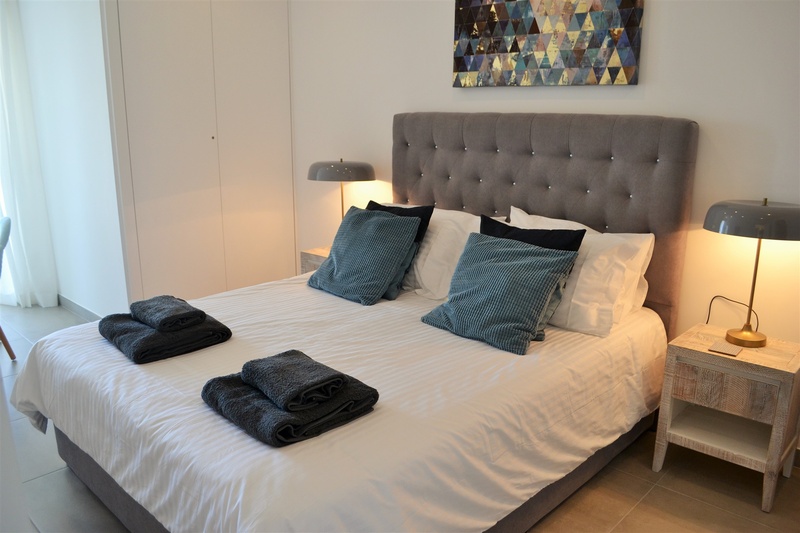 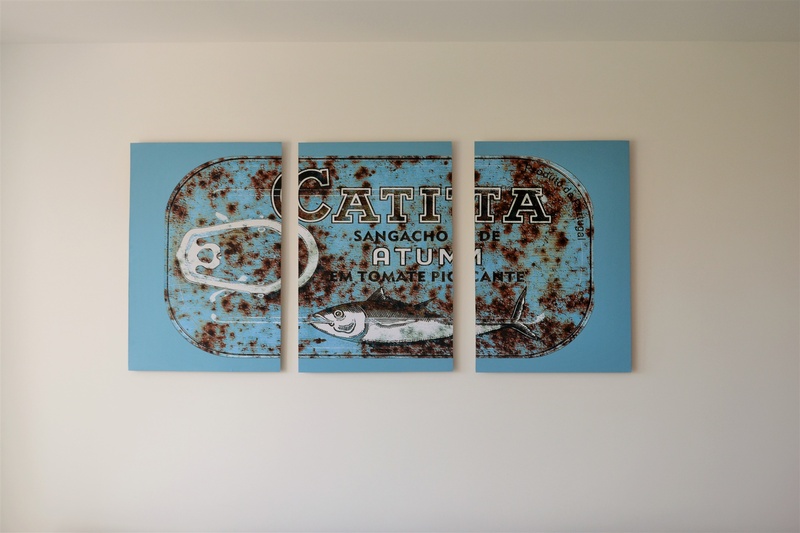 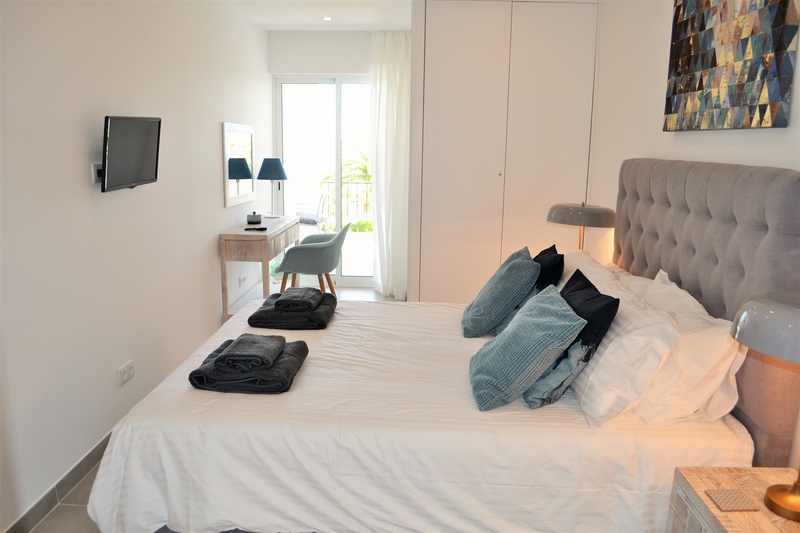 1 double bedroom with TV, en suite shower room, superb sea view and access to terrace. 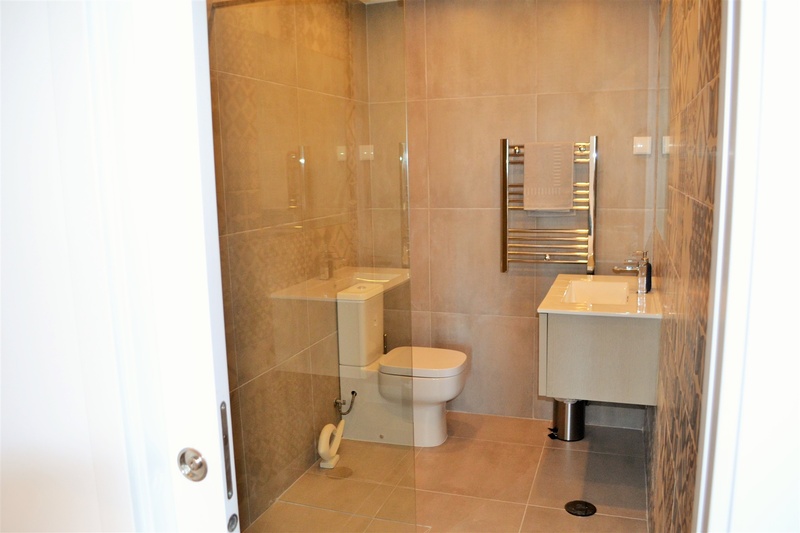 Twin bedroom with en suite bathroom with shower over bath. 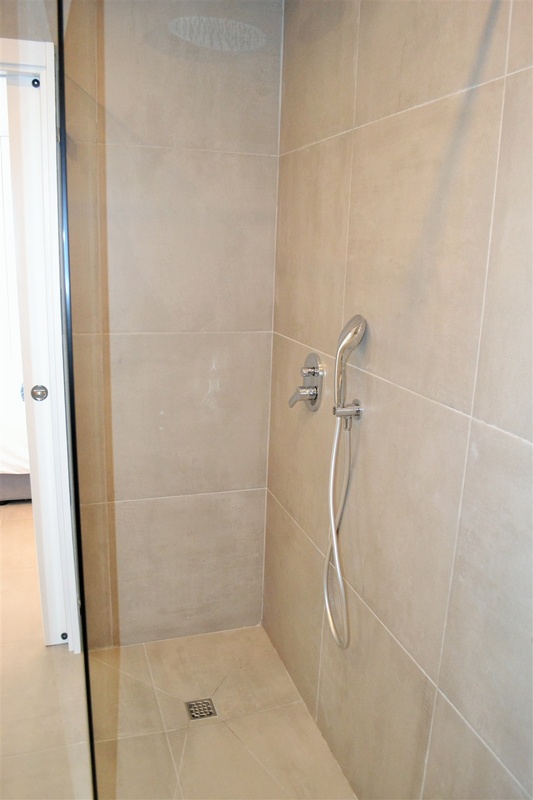 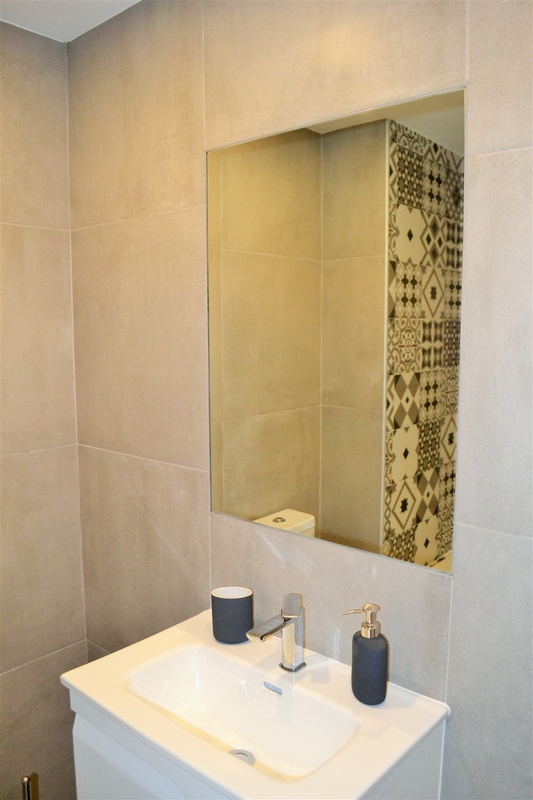 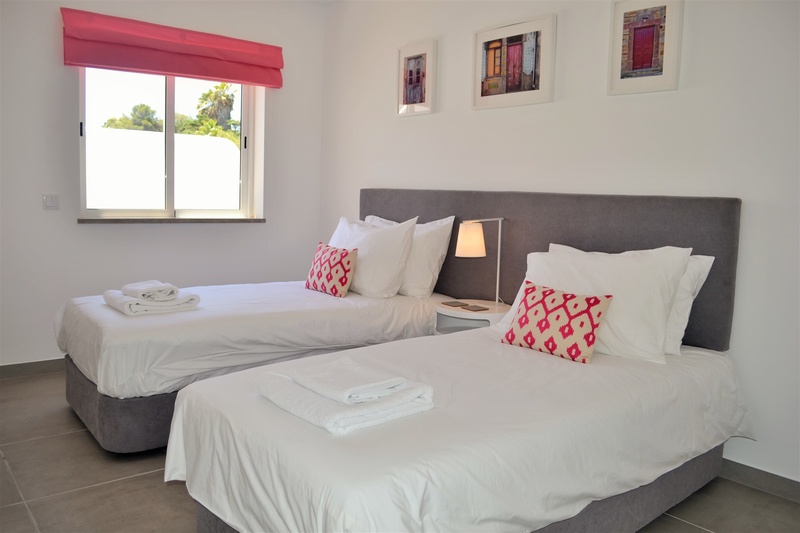 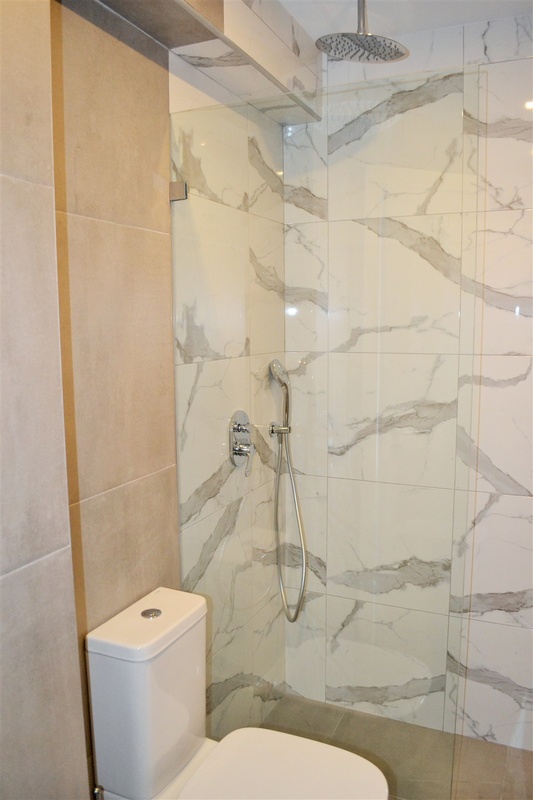 A second twin bedroom with adjoining shower room all bedrooms have hair dryers. 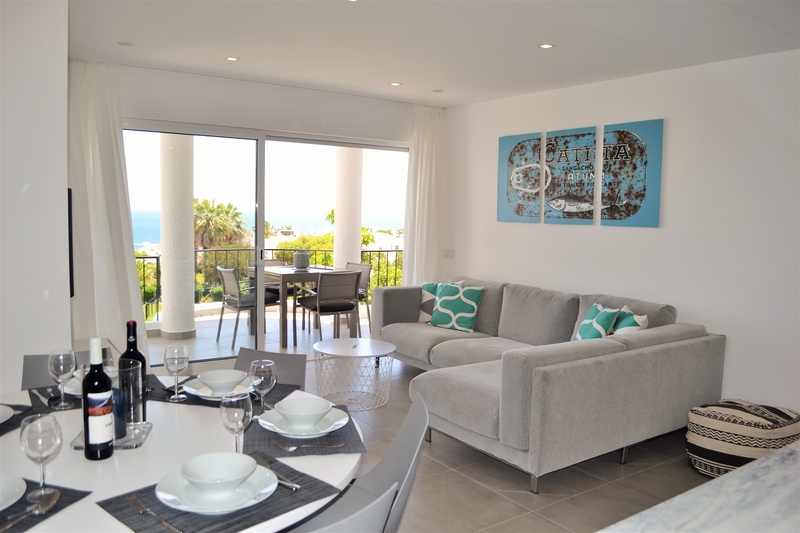 Large open plan living, dining, and kitchen area with magnificent sea view and under floor heating. 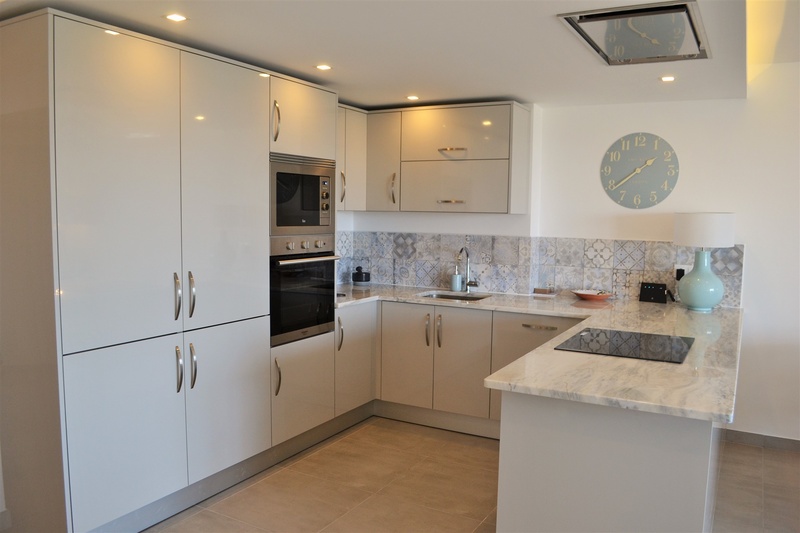 Exceptional kitchen including a large fridge/freezer, washing machine, microwave and dishwasher. 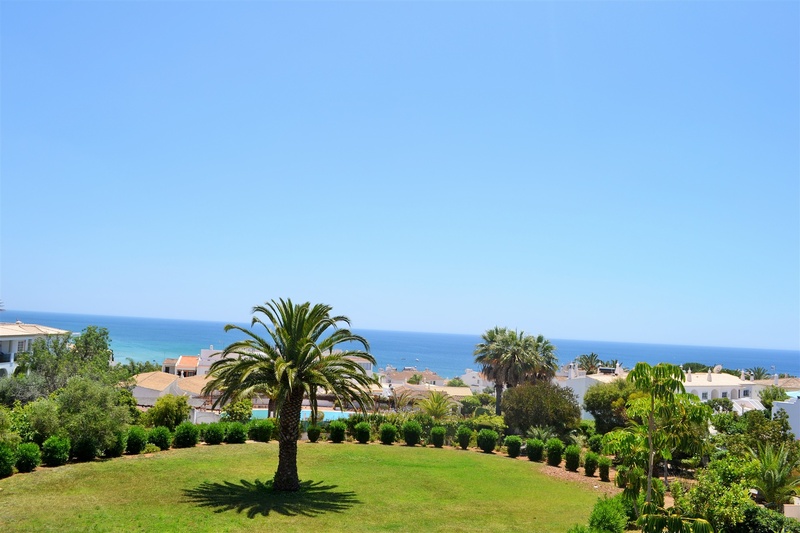 Free use of the Luz Bay Hotel swimming pools (adult and family pool) some 7 or 8 minutes walk. 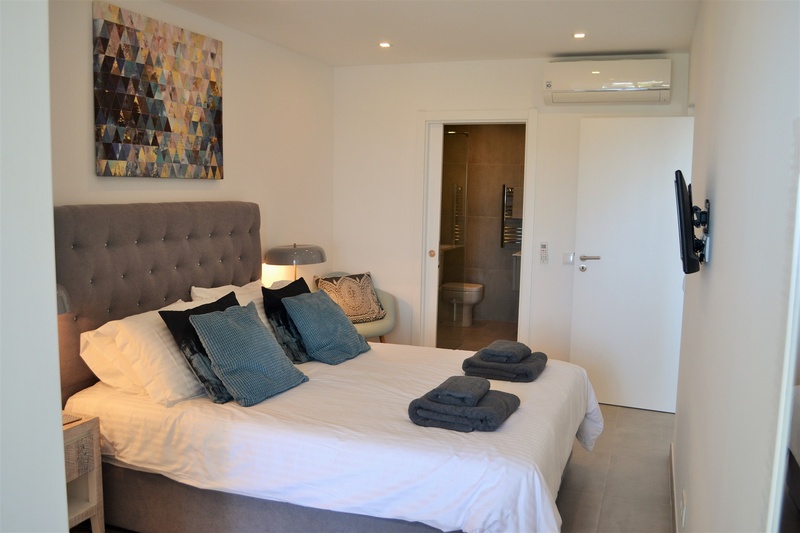 The apartment has ample free parking, is just a few steps up from the car park and is on a single floor. 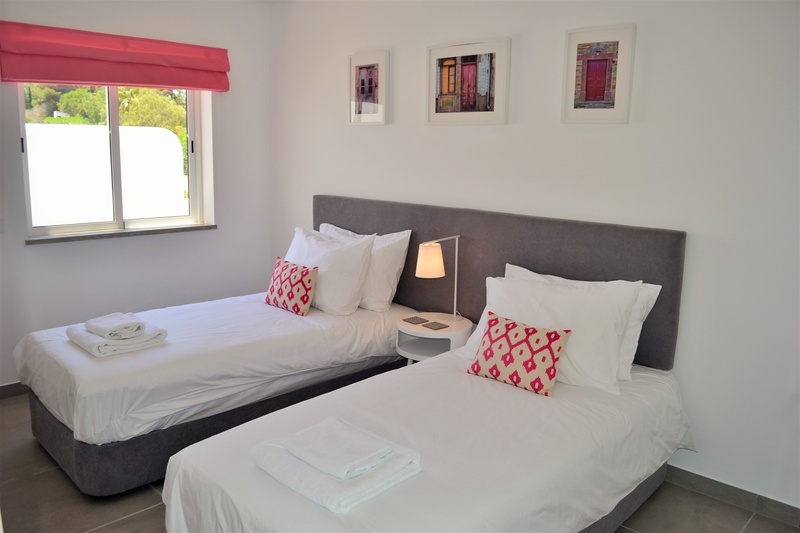 Use of pushchair and travel cot on request.